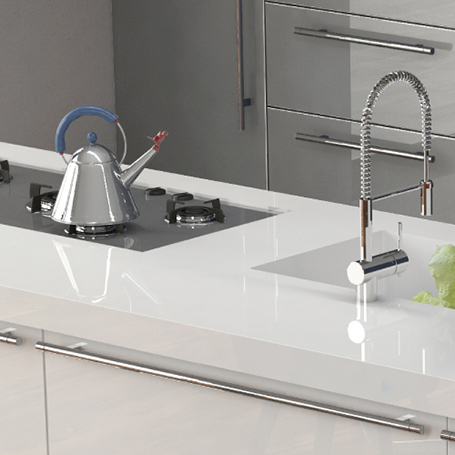 Crystal Stone 2.0, by Eleganza, features the Forever White Technology which guarantees a consistent bright white tile with 93º whiteness as well as stain resistance, zero porosity and UV resistance. Crystal stone is made with high melting point 99% silica and it's easy to cut. Tile, 2cm and 3cm slab sizes available.